Cree® LEDs are the last word in illumination and this torch’s powerful 3W output will really light up your world with three modes of operation – high, low and strobe. Cree® LEDs are the last word in illumination and this torch’s powerful 3W output will really light up your world with three modes of operation – high, low and strobe. The beam can be focused quickly from wide to spot by simply slidng the zoom in or out. 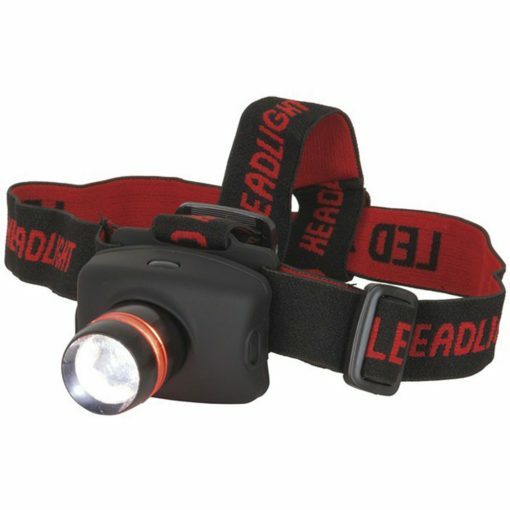 The elasticised head strap is very comfortable and makes it ideal for camping, caving, fishing and many other activities that require hands free light.